A compact pistol like the SR9c CAN be carried on the ankle! You just need the right Ruger SR9c ankle holster to do it. 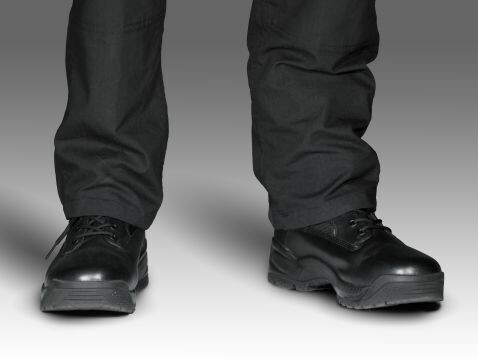 Other ankle holster designs just aren't capable of carrying this pistol on the ankle, or at least not well enough for you to do so on more than just a very occasional basis. 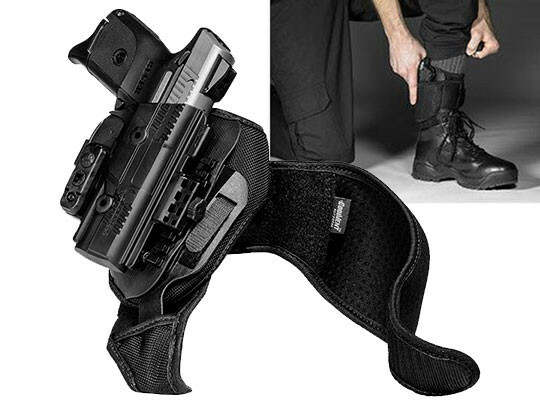 We have created an ankle holster for Ruger SR9c guns that carries comfortably, securely and with no compromise whatsoever in fit or function. 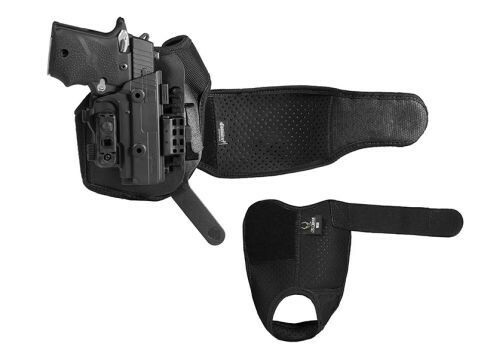 This is an ankle holster for this pistol that can be carried with every day with no issue. Other ankle holsters are merely endured. Start with the strapping. 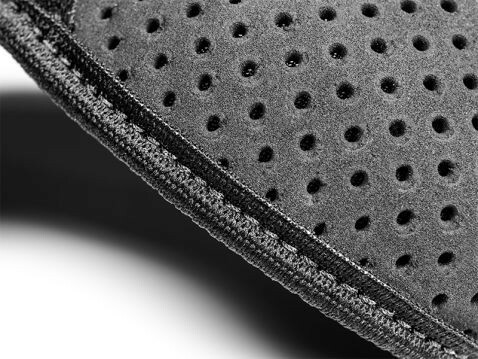 We use our Cool Vent perforated neoprene. 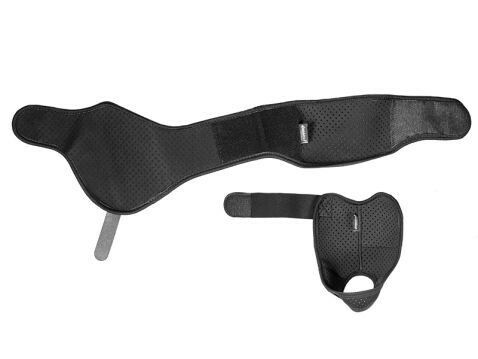 It breathes against your skin and wicks away moisture, keeping you dry and cool compared to other SR9c ankle holsters. Never worry about hot spots or chafing from leather or hard nylon web again. Elastic is also deployed in the strapping, so you can cinch it tight without cutting off the circulation. You'll also notice the two-piece strapping design, with a heel strap to complement the ankle strap. The ankle strap includes a durable polymer insert, which is docked with the heel strap. 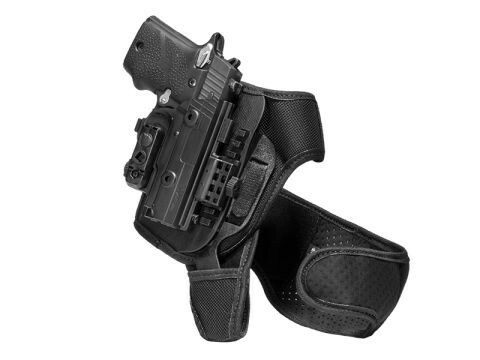 Once put together, this Ruger SR9c ankle holster has both horizontal and vertical stability. 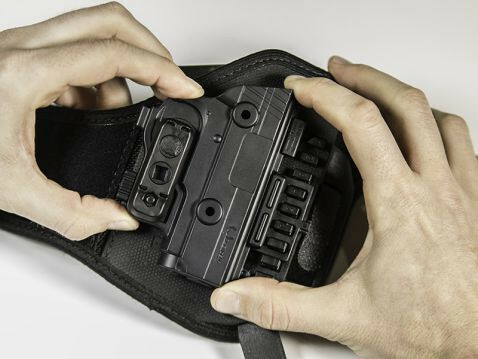 Never worry about it moving when you do - this holster stays put. 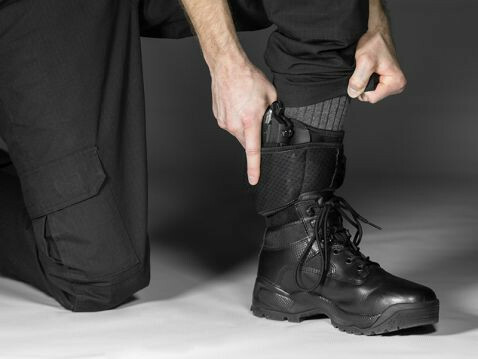 The holster itself is a cut above many other ankle holsters. No need for a thumb break - this holster is custom-molded for the SR9c and only the SR9c. The ShapeShift shell fully wraps the trigger guard for added security. You can also dial in the passive retention to your exact desired specification. The ride height is also adjustable so you can find the perfect ride height while you're at it. Wondering about a product guarantee? Ours is Iron-Clad. Alien Gear's Iron-Clad Guarantee is one of the most comprehensive in the industry, including a 30 Day Test Drive trial period after purchase and a lifetime warranty on the holster itself. Sound like the kind of Ruger SR9c ankle holster you've been looking for? Schedule your test drive today!